Tandem keels(centerboards). 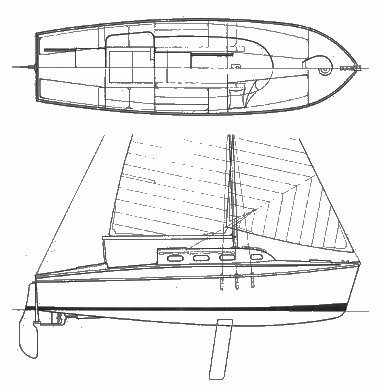 Similar to the ATALANTA 26 but with shorter cockpit. Probably named after the flying boat built by Fairy in the 1920's.